What’s on Your Professional Bucket List? The first day of summer, my children were bored. They are all five and under and cannot comprehend why school is not in session in the summer. By the third day of summer, behavior in our house was intolerable and bedtime was non-existent. With sincere concern for how we were going to survive the next three months, I turned to Pinterest (seriously) and started our Summer Bucket List. We literally have a bucket with clothespins clipped to the upper rim. On each clothespin, an activity is listed. Some of the activities are simple, such as chalk drawing, and others are more adventurous, such as going to the zoo and the local museums. Each day that we do not have other plans, we will do one of the items on the Summer Bucket List and then place the clothespin inside the bucket. Our goal with the project is to keep engaged in the summer, ensure that we tackle activities that we have been wanting to do, and to keep focused on schedules and the rest of our routine. 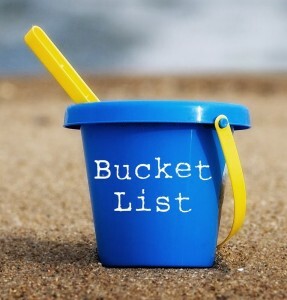 The Summer Bucket List is my “mom-way” of focusing on the summer; however, the bucket list concept is one that could be applied to multiple areas of your life. How many people do you know who have stayed in a job that they did not enjoy? How many people do you know that have turned on “auto-pilot” at work after they mastered the basic tasks of their position? How many people do you know that are so overwhelmed at work that they cannot get anything accomplished? It seems simple, but maybe you should create a bucket list for your position. Many times in your work life, you are focused on the routines of the position and many times you are focused on the urgent and very important tasks of the position. However, when your schedule allows, what do you do? Do you pick up the long-forgotten “to-do” list? Do you do something that you enjoy or that you feel will progress your organization? A number of years ago, Ron Holifield and I were discussing the next step in my career. He asked me two questions: What did I enjoy doing? What was I good at doing? I was startled at first – why did that matter to my career? Why did he care about what I enjoyed doing? When you enjoy what you are doing or you are using your talents wisely, you stay engaged in your position; you get things done and you stay focused on the tasks at hand. Find ways to enjoy your position and continually move your organization and yourself forward. What is on your work bucket list? 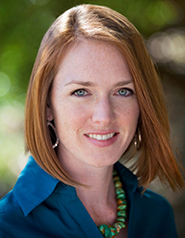 Allow us to introduce to you The 16 Percent’s newest blogger—SGR’s own Marlie Eyre. 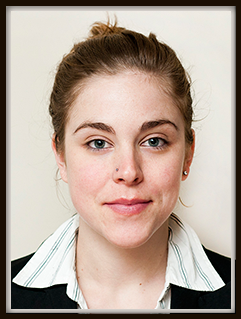 Marlie joined SGR in February 2015, as a Member Collaboration Coordinator. She has a Bachelor’s Degree in International Relations, Indonesian Language, and Politics as well as a Master’s Degree in Diplomacy and Trade. Her focus of study has been on government and governance both at a local and an international level. Marlie has traveled to more than twenty countries both as part of her studies, to pursue various work opportunities, and to broaden her understanding of local governments, policies, and cultural understanding. Prior to joining SGR, Marlie worked with various government and non-government organizations including an internship with U.K. Trade and Investment based in Melbourne Australia, Scalabrini Refugee Center in Cape Town, South Africa, and for the previous four years. has been working with a consulting company based in Montreal, Canada. Marlie is also fluent in Indonesian. The demographic changes that America is experiencing currently is and will continue to be one of the most pressing topics in leadership circles. The demographics are shifting, this cannot be denied. But what does this mean for public service? What does this mean for those in leadership positions in public service? In today’s blog, we will explore why it is so important to be informed about demographic shifts and how this will make us more successful in our jobs and the services we provide. The San Antonio Spurs team is one of the most culturally diverse professional sports teams in the USA, not to mention one of the most successful NBA teams in recent times. Last year an action taken by head coach Gregg Popovich demonstrated one of the most profound examples of leadership and how important it is to recognize diversity I have ever seen. The San Antonio Spurs have players in their line-up from all across the world. One of these players is Patty Mills, a young indigenous man from Australia. Mills’ father is an Indigenous Torres Strait Islander and his mother is an Indigenous South Australian. He is the first Aboriginal Australian to play in the NBA and carries the pride of the entire Australian nation on his shoulders. 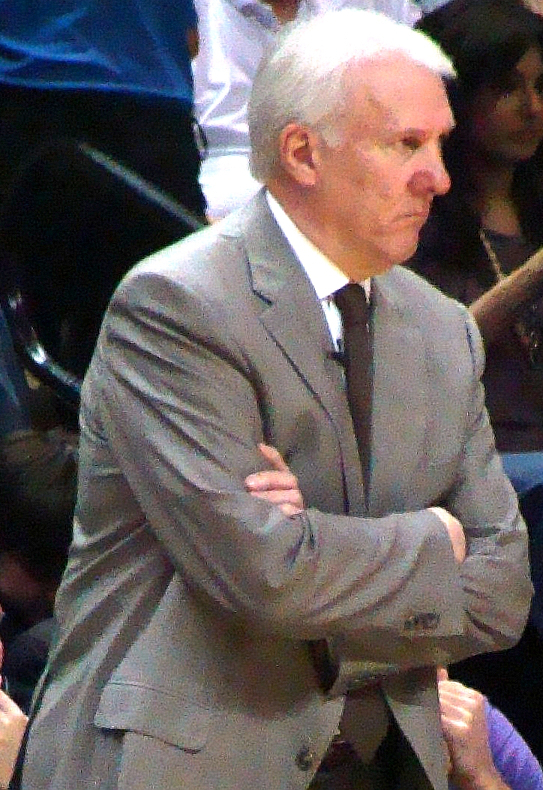 On June 3rd, right before the Spurs were about to begin their preparations to come head to head with the Miami Heat for the championship, Gregg Popovich walked into the locker room and asked his players “do you know what today is?” Popovich then proceeded to flash an image of an older indigenous Australian gentleman up on the projector screen. Mills and fellow Aussie and team mate, Aron Baynes knew right away what he was referring to. 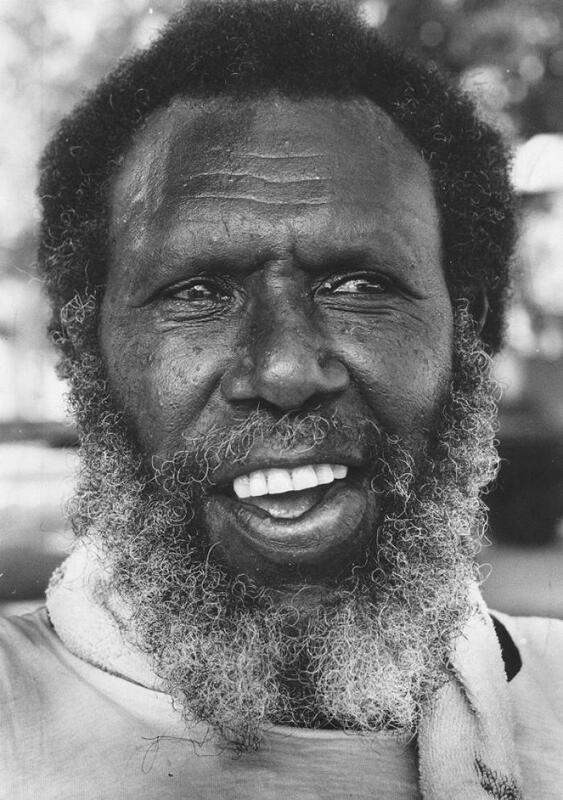 The photo was of a gentleman named Eddie Mabo. Gregg Popovich proceeded to explain to his team the importance of June 3rd, Eddie Mabo Day, in Australia. Indeed this day, “Mabo Day”, is an important date on the calendar for all Indigenous Australians and Torres Straight Islanders, as it marks the day the Australian Government recognized Indigenous land rights. Mills was overwhelmed and filled with emotion by this action. Mills mother and father were in town at the time to watch their son play in the finals against Miami Heat and heard about what happened in the locker room. They were said to be just as taken aback by this extraordinary act of recognition and leadership. The fact that Gregg Popovich felt it important enough to take time out from NBA finals preparation to recognize and educate his players on this topic demonstrates the enormous amount of respect he has for his players and their diversity. On a team that has more international players than domestic ones, he felt it was vital to recognize diversity to build his team and strengthen the relationships and respect between his players. This was not a stand-alone act by Popovich. He has done this on more than one occasion for others on the Spurs team. Popovich is a leader. He is a coach. What he did for Patrick Mills, as a leader, is truly inspiring. So what can we learn from this extraordinary demonstration of celebrating cultural diversity from a leadership perspective? Diversity is special. It is a thing to be celebrated. It breaks down barriers in the most incredible ways. It reduces frustration and improves communication. It builds relationships that, as leaders and service providers, we cannot have success without. In our communities, knowing who we serve and not just recognizing diversity but embracing it, will lead to greater success and understanding. Do you have 12 minutes? No, scratch that. MAKE 12 minutes this week to watch my favorite TED Talk, The Happy Secret To Better Work. It’s not just my favorite, it’s one of the 20 most popular TED Talks, in fact. Shawn Achor, a Waco, Texas native, Harvard graduate, and happiness fanatic, will entertain you and educate you on why happiness is the key to your success. I’ve watched the Talk about 37 times this past year, and it made me hungry to know more! You can find the video here. I picked up a copy of Achor’s The Happiness Advantage; in it he explains the fallacy of the age old idea that if we are more successful, if we accomplish that goal, if we get the new job, THEN we’ll be happy. In the relatively new field of positive psychology, research shows that this is backward. You don’t become more happy once you achieve your goals, as you may have believed you would be. Happiness fuels success. It’s really not backward when you think about it. Choosing a positive attitude allows you to see things in a better light, and it opens your mind to greater opportunities. It also makes you more attractive – now just go with me on this. If you are negative, pessimistic, grumpy even, do people want to be around you? If you are cheerful, you smile, and you say kind things, you’re someone I’d want to be around. Now, I prefer authenticity, which means it’s not all hearts and rainbows all the time! 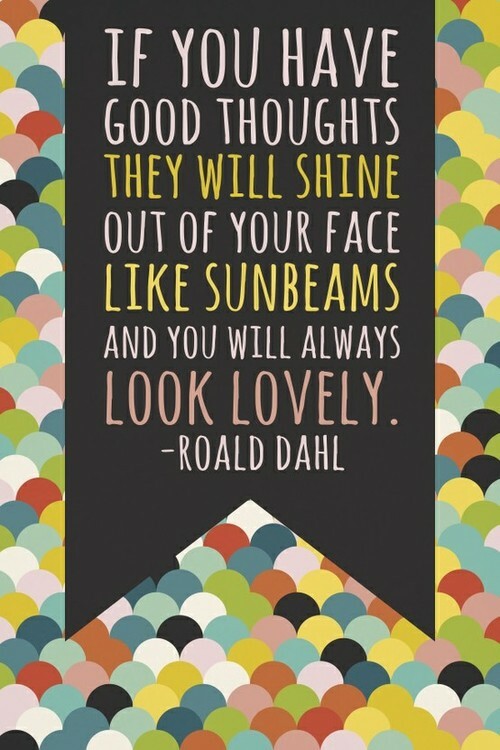 But largely, being positive draws people and opportunities to you. Hiring managers, think about it this way: Would you hire someone who frowned or was stoic during most of the interview or complained about his or her past workplace? Or would you give preference to the candidate who comfortably smiled and spoke of the hope for future employment with you, while answering your tough interview questions? Supervisors, do you find yourself spending more time speaking to those who drag you down with their lamentations? And who do you prefer to delegate those important projects to? The grumbling negative Nelly? Or the Susie Q who says, “Thank you for the opportunity to grow!” Logic follows that having a happy disposition gets you hired and accelerates growth and development opportunities, which can result in promotions and higher salaries. And there’s science to back that up. I teach speech at the community college level. I speak to business groups. Can I just have the ear of some business leaders for a minute, please. In one of my classes, a student is taking my Public Speaking course in between finishing his B.S. and starting his Masters program. In his undergraduate program, there were no speech classes offered. Read that last sentence carefully. There were no speech classes offered. We’re not even dealing with a “required” class, but simply offering the opportunity. Yes, he got his degree from one of those STEM focused universities. I sort of understand the STEM folks (Science; Technology; Engineering; Math). They don’t want to be bothered by communication classes; such classes are too “soft skills” focused for their taste. They’ve got “real” subjects to study, after all. (I told you – this is a slight rant). So, we end up with a bunch of degreed people, well-educated, except maybe not all that able to communicate. This student is taking my summer Public Speaking class because his Masters program requires it. Good for them! Here’s my observation. We are increasingly surrounded by people with great, yet narrow skill-sets. They may not have enough “liberal arts” understanding to build needed bridges to others – especially the non-STEM folks. And, as a result, their peers, and their customers (especially their customers) may not quite grasp what it is they have to offer. I think that every person, in any and every business endeavor, needs to be able to stand in front of a group, and translate jargon and techie vocabulary into every-day English for the non-initiate. Bestowing a degree to a person with no training in Public Speaking really does seem like a big, big mistake to me. Last week, I was told that I officially joined the “mom of boys club” when my son decided to use a window shutter as a swing and took a six foot fall onto our wood floors. The shutter did not survive the fall and landed on top of him, resulting in stitches right below his eye. Due to the location of the injury, anesthesia was recommended for the procedure and we were directed from the urgent care center to the emergency room. We were grateful for the slight degree of space between his eye and the injury and that we were just looking at stitches, instead of his eye being injured. At 211 degrees water is hot. At 212 degrees it boils. And with boiling water comes steam. And steam can power a locomotive. The extra degree makes the difference. We are committed to a culture that makes that 1 degree difference in service excellence. What areas can you raise the bar 1 degree and make a huge difference in your community? Is it response time for public safety? Is it turning customer service into customer care? Is it engaging your citizens to find out their wants and needs? What small things can you do to provide a greater impact to your employees? Is it allowing for training and advancement opportunities? Is it sharing your vision for the organization with them and showing how they are having an impact? Is it just caring for them and their families? What areas are your 1 degrees? What makes the difference to your residents? To your employees? 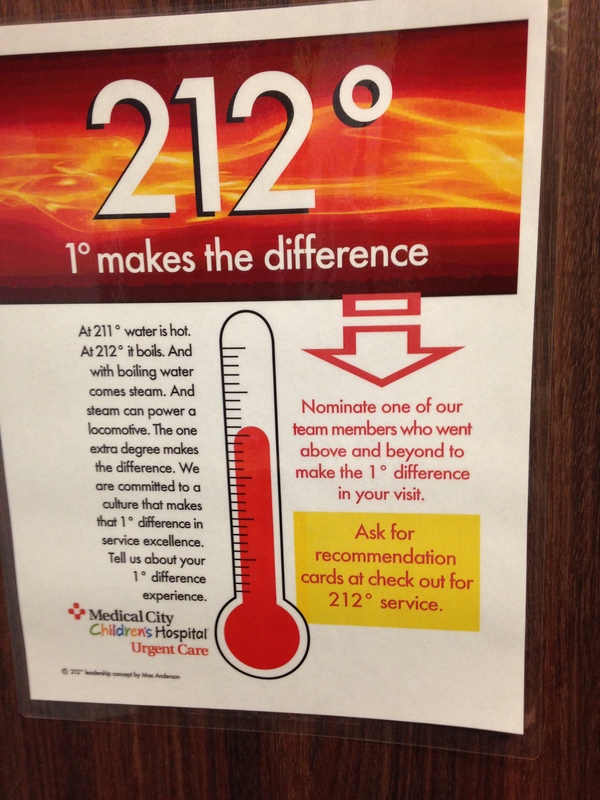 Make the commitment to keep your organization at 212 degrees. Even if it seems like a small thing, you are greatly influencing someone’s life. Is it a Goal or a Goat? Peter Burchard is a multi-sector consultant, university instructor, and author. He has served as a city manager, health care executive, and as a board member for numerous organizations. He was the city manager of Naperville, Illinois and village manager of Hoffman Estates, Illinois. He served as the chief operating officer for inVentiv Medical Management in Augusta, GA. He serves on the board for the NIU Alumni Association and GreenFields-Mill Creek, a continuing care residence. Previously, Peter served on the boards of Hoffman Estates Medical Center, the Suburban Law Enforcement Association, and the Alliance for Innovation. He received his undergraduate and graduate degrees from Northern Illinois University. Reach Peter at: peterburchard.com. Is your future filled with goals or goats? Think about your professional development goals. Think about your current work goals. Are your goals more like goats? If you don’t have any goals it could be because you’ve experienced too many goats. Real goals – deep goals – solve real problems and create the work place you and others want. 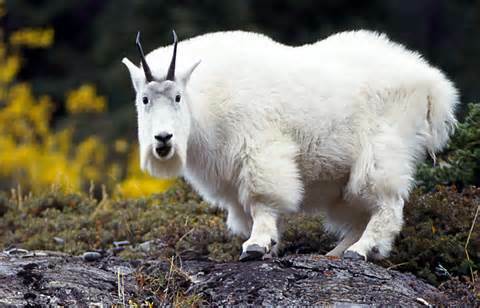 Goat-type goals are forgettable and just stare back because we know the goal dances around real problems. Goats like to chew on things – just like people do – as if there is no greater purpose. Real goals create real change. Goats tend to do nothing that actually matters. Goats play mind games and create the illusion of progress. Sadly, goat-type goals may be what we like – unconsciously protecting the status quo. Personal goals may, perhaps inadvertently, just secure our present comfortableness. Real goals need to propel us forward – solving key problems and creating the future we want. Embrace Uncomfortableness: Look at your goals. If your goals make you feel comfortable then your goals are goats. James Collins writes about the curse of the comfortable work place. Create goals that create uncomfortableness. Surface Real problems: People have problems. The work place has many problems too. How do some of your goals speak to real problems? If none of your goals surface problems, they are goats. Our desire to be positive is also a curse when it protects the status quo and prevents an honest assessment of problems (Read Good Communication That Blocks Learning by Chris Argyris). Be Big! Really big! : When accomplished, what will your goals create? As Rumelt notes, people notice real strategy and goals. You and others will be excited because as a team you are 1) tackling real problems and 2) creating a better future. Seek Deep Personal Growth: When it comes to skills, how am I too much as I was just one year ago? Am I too satisfied with me? As an old saying goes, do I have twenty years of experience or one year repeated twenty times? To what degree am I more relevant today compared to last year? Can I prove my escalating relevance? Your journey from goats to goals is packed with personal potential and organizational possibility. Let your personal resourcefulness blossom. Over the past 3 months, I’ve written numerous posts on employee engagement, and like me, you may be wondering: What else is possibly left to discuss? While the answer is “a great deal,” I’d like to wrap up our look into Gallup data on employee engagement with one final viewpoint: Generations. If you were to visit one of my classrooms where the topics were coaching or managing employee performance over the past few years, you’d have thought the Millennial generation was going to be our undoing. Now, I don’t tolerate bashing of any generation, but we tend to encourage discussion and discovery about the youngest generation in our workplace because they’re the least known and most feared (and there are so many of them!). If you’re reading this Millennials, please hear me! Your slightly older and certainly wiser counterparts don’t necessarily dislike you, but they may fear you a little. Or a lot. And if my observations are correct, some are even envious. But you’re not off the hook! Many of you Millennials have a lot to learn from those of us who have been in the workforce a lot longer than you…and we have a lot to learn from you, too! Back to the engagement topic, though. Gallup, has defined for us what an actively engaged employee is, “those who are involved in, enthusiastic about, and committed to their work and workplace.” Not engaged employees are those who are emotionally checked out. They go through the motions, but their connection to the organization is faint. Actively disengaged employees are more than just “unhappy” at work. These employees undermine the organization and those around them. The majority of Americans are not engaged (51%) or actively disengaged (17.5%), and thankfully, actively engaged (31.5%) figures remain steadily on the rise in recent years! But I’m interested to see which generation is the least engaged and which is most. Based on what I’ve heard in the classroom and seen play out in organizations I work closely with, it could be reasonably assumed that Millennials are the least engaged of all. They’re the least loyal, the most aloof, the most “just on their phones,” the ones who are “all about me.” According to older Gallup figures from 2013, that assumption is completely untrue. Traditionalists have the highest engagement – but they make up less than 4% of the workforce today. The Millennials have a spread very similar to the national average, higher on the positive side! It’s the Boomers and Generation Xers who are less engaged. Not only are we less engaged, we’re the MOST actively disengaged. Boomers, you’re the ones we should be concerned about engaging. Maybe you’re the ones we need to harness – better. The key to engaging Boomers and Xers is to align their work and help them feel connected to the organization’s mission and values. While I think that the numbers are interesting, I honestly don’t think that there’s enough substance in them or what else I’ve found about generational engagement to substantiate a truly different approach to engaging people, regardless of which generation they were born into. In addition to the 4 Essentials of Engagement for Managers, provide folks development opportunities and help them connect to the big picture of your organization. To me, we all need these things, no matter how young or old-ahem-tenured we are. As James MacGregor Burns taught in his classic 1978 text, Leadership, the practice of leadership is not the same as the exercise of power. If I put a loaded gun to your head, I can get you to do things you might not otherwise do, but I’ve not practiced leadership; I’ve exercised power. True leadership only exists if people follow when they have the freedom not to. (emphasis added). Creating a set of concentric circles radiating outward. Hasselbein pointed to a glass in the middle of the table. “I’m here,” she said. I teach it this way to my speech students: after explaining that “persuasion is changing someone’s mind, attitude, or behavior,” I remind them that seldom is full persuasion accomplished with any one single speech. And then I teach/remind them that we can come close to making anyone do anything – all we have to do is hold their head underwater (it might take the help of the Cowboys’ offensive line to pull that off) until the person is willing to do what we demand. But, that is coercion, not persuasion. Persuasion is all about getting other folks to head in the direction we want to take them/lead them when they have the absolute freedom to say no. (Consider the recent execution of leaders in North Korea. I bet the other leaders are fully on board at this point. But there is apparently not much freedom to say no in that circumstance). And when a person can say no, it takes pretty careful strategies of explaining, asking, training, educating, lobbying, appealing, to get things moving in a common direction. And getting good at this is no easy feat! If you work with people who are much older than you, or much younger, you may have experienced communication problems from time to time. I know I have found myself in this situation before. I like to collaborate and share ideas and sometimes I like coming up with new, more efficient ways of doing things if I feel an improvement is needed. Needless to say, I’ve worked with some people who did not appreciate this approach. New ideas can be perceived as a threat to a person who has done something the same way for a long time and who isn’t particularly amenable to new ways of doing things. It may make them feel as if they are becoming irrelevant because change is happening at a pace they aren’t comfortable with. They may feel that their position is in jeopardy, particularly if the new ideas are coming from a younger co-worker. While the intent may not be to alienate older, seasoned employees, these behaviors can be perceived as alienating if there has been a breakdown in communication and a lack of good leadership. Last week we talked about managing multiple generations, specifically bridging generational skill gaps. This week, I want to talk about communication between generations. 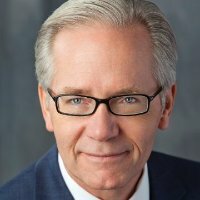 I’ve mainly focused on millennials thus far but, today, I’d like to consider Generation X’s role in the workforce as “forgotten middle child,” how this colors their perceptions of generational differences, and discuss ways we can all become better communicators and better collaborators despite these differences. As a Gen Xer, you may have a much longer trek ahead of you to reach retirement, compared to boomers. You may also have a longer climb up the corporate ladder…and millennials are already nipping at your heels. Why can’t we all just get along? Millennials feel differently about paying their dues. In fact, half of those surveyed felt that professionals should have to spend only 1-2 years paying their dues in entry level positions. Millennials are known for a musical chairs-like approach to their careers—they switch jobs. A LOT. For Gen Xers, a generation that has often been obsessed with authenticity and dues-paying, the millennial approach to dues-paying can be frustrating because of the “fake it til you make it” potential there, which can result in a person with limited experience being moved into a position they may not be qualified for. It can also seem tiresome to baby boomers who have been doing their thing for a long time and pride themselves on experience. However, this same study found that many millennials actually expect to pay their dues in other ways—with advanced degrees, mainly. The door to the past is a strange door. It swings open and things pass through it but they pass in one direction only. No man can return across that threshold, though he can look down still and see the green light waver in the water weeds. Of course, Eiseley was writing about the process of evolution but it’s an apt lens through which we can view succession planning and managing generations. If you are a good leader, you want your organization to evolve. In order for this to happen, a leader must always take an active role in the push forward. The old ways are constantly warring with the new ways. There is a constant push to innovate, but there may be just as much push-back and resistance to a culture of change. In your organization, what that may look like is the older generation butting heads with the younger generation. Technology isn’t the only breaking point; sometimes our views on what engagement means, what equality means, and how we make those things happen are approached in different ways. As boomers retire, their years of knowledge and experience go with them. Millennials may try to supplant them before they have “paid their dues” and Gen Xers may find it difficult to work with a generation they perceive as entitled. How do we deal with these issues? 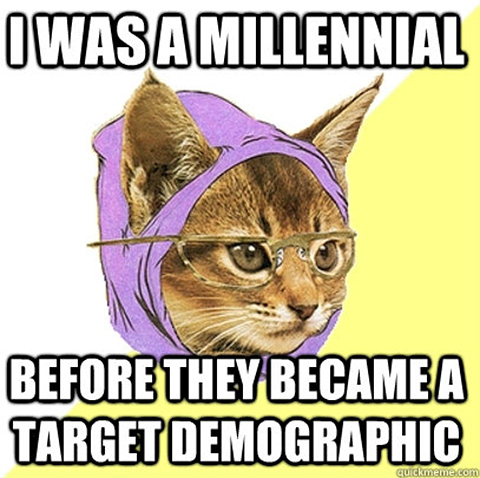 The first step in the process is to stop expecting millennials to be like us. This may be a daunting task for Gen Xers who find the millennial approach to moving up frustrating or disrespectful. You may approach innovation in a different way, or express yourself differently, or place less importance on collaborative efforts, but don’t expect your co-workers, be they younger or older, to take the same approach. We have enough in common that we can work from the commonalities and learn from our differences. We have different expectations, different experiences, and, though we all need those basic motivators that Daniel Pink mentions—autonomy, mastery, and purpose—we may reach these motivational goals in different ways. It is of the utmost importance to bridge gaps in communication and in understanding through mentoring, training, and collaboration between the generations. The success of your organization depends on it. Convey your mission regularly and consistently and always consider the unique things that each generation can bring to the table: the experience of the boomer, the flexibility and stick–to–itiveness of the Gen Xer, and the adaptability and cultural awareness of the millennial. I don’t know about you, but I can’t get enough of this Gallup report, State of the American Manager! It’s almost like, “Managing Employees For Dummies.” Well, that’s not entirely true – BUT – there are a few simple things that Gallup found that engaged employees said consistently of their managers. Gallup also tells us that 50% of adults have left a job to get away from their manager at some point in their career. The study says this, and I couldn’t say it better, “Having a bad manager is often a one-two punch: Employees feel miserable while at work, and that misery follows them home, compounding their stress and putting their well-being in peril.” I hope you personally haven’t had this experience, but chances are, half of you reading this have, and chances are, 50% of the employees in your organization feel or have felt this way. I’d like to help you understand how to avoid being the reason someone leaves you – not their job. Employees who receive strengths feedback have 15% lower turnover rates than employees who do not receive feedback. People who use their strengths every day are six times more likely to be engaged on the job. Employees who learn to use their strengths are 7.8% more productive. Teams that focus on strengths every day have 12.5% greater productivity. Many organizations operate under the idea that a manager’s job is to identify what’s wrong with an employee and “fix them.” But Gallup has found that there is infinite potential in developing what is right with people versus fixing what is innately “wrong” with them. High performing managers focus on strengths by leveraging and developing areas of strengths. A large amount of limited and functioning talent managers said that they emphasized a balance of strengths and weaknesses, while more limited talent managers focused on weaknesses alone. I understand that the Gallup terms may have jumbled this message, so let me be clear: managers with high talent and engaged, high performing employees focus on strengths, and strengths alone. You’ve probably heard that communication must be regular and frequent from every management and leadership course you’ve ever taken. This report shows that the frequency of communication is not the key, nor the mode, but the consistency. Specifically, employees whose managers hold regular meetings with them are almost three times as likely to be engaged as employees whose managers do not hold regular meetings with them. Those managers who maintain daily contact using a combination of communication modes (in person, phone, email, text) have the highest engaged employees, but engagement rests largely on consistency alone. Consider this: if you have a meeting scheduled every Tuesday at 2:00 with your boss, and it is cancelled 25% of the time, or even 50%, what does that say to you? Or you’re told by your boss that they’ll call you (perhaps at your request, to discuss a specific project), and that call doesn’t occur – how do those irregularities affect your assessment of how your boss values you? I’m sure that your boss – and you – can justify the times that another call or another meeting took precedence over a standing meeting. But the effect of having regular meetings far outweighs the cancellation of them. Unless you like losing your top talent. I’m a huge fan of authenticity. I like being myself. I like surrounding myself with people who aren’t fake. I delight in getting to know people (I know, my extroversion is showing…) I believe that real relationships can only occur when you’re your true self. Even at work, even when you’re the boss. I’m not saying that you have to share everything with your employees, but be a human! Share bits of your life with them, and encourage them to do the same. What are their hobbies, outside of work? If they have a family, ask about them periodically! You might find that you – gasp – actually like your employees! There’s a different level of trust developed when you’re real with people, and the Gallup study shows a correlation between people who answered that they felt that they could safely talk with their boss about non-work matters and those who answered that they felt they could ask their boss anything. Wouldn’t you rather your employees come to you with the questions they have, regardless of what the topic is? Rumor control, change management, quality control, priority of work, so many questions either aren’t asked or are asked of other people, but they could be asked of you. Be real with your people. You all deserve it. For the most part, we have managing employee performance all wrong. There are a few organizations across the country, a handful of cities in Texas, starting to get things right. But even in well-designed performance management systems, individual managers can still mess things up. Employees whose managers help them set work priorities and goals are more actively engaged (though only 12% report their managers do), and employees whose managers don’t set these are most likely actively disengaged. The basics of performance coaching include clarity of expectations, understanding the employee’s role and how that fits into and aligns with the team and the larger organization, and frequent updates about priorities and progress (not just when HR requires a tool to be completed). So, regardless of what your organization mandated performance management system is, give your employees more. Have consistent, authentic coaching conversations about your employee’s strengths. It’s really that simple.